“Isn’t that a Jewish festival?” I hear you ask. Well yes it is, but in Leviticus 23 God clearly states that all the Biblical feasts belong to Him. He has set them in the Hebrew calendar as celebrations and rehearsals for His people to understand His plan of Salvation (John 4:22). We see from Jesus’ first coming how He fulfilled all the spring-time feasts (Passover, Unleavened Bread, First-Fruits and Pentecost), and so we can see in advance how the autumnal feasts will be fulfilled by His second coming. 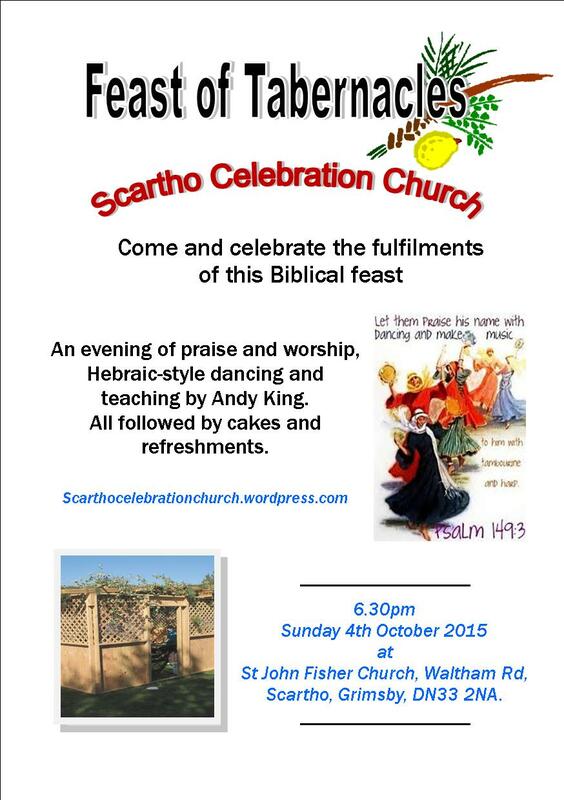 Our celebration of the Feast of Tabernacles is all about the Lords glorious return to dwell with His people! Join with us as we reflect on the origin of this feast, how God dwelt among His people in Jesus’ first coming (John 1:14), and how He will completely fulfil this feast at His second coming. *A tabernacle is a dwelling place – this feast is also known as the Feast of Booths, or in Hebrew, Sukkot. We will have a mock-up of a typical Tabernacles booth, or a “Sukah” on display.